The 2017 Honda Clarity is your clear path to the future where fun to drive and reduced carbon are the norm. 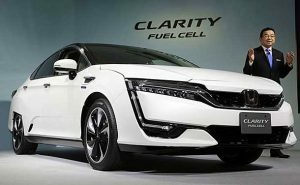 This entry was posted in 2017 Honda Clarity, Uncategorized and tagged 2017 Honda Clarity, Happy Honda Days, honda dealer, Honda of Pasadena, Honda Pasadena, Los Angeles Honda Dealer, Southern California Honda Dealer by Honda of Pasadena. Bookmark the permalink.